Jan is seasonal global executive. He spent more than 24 years in business, sales and marketing at the different continents.He has a deep knowledge and skills in personal development and proven record in building successful teams and organizations. He spent almost 22 years in Microsoft. In his last job (2007-2014) he served as Chairman Europe, Microsoft Corporation. His personal mission is “Helping people, organizations and countries around the globe to unlock human potential”. Based on his long term experience in a global economy he created special development program on finding personal uniqueness for individuals and teams. He works closely in coaching and mentoring field with INSEAD, Gallup and SeedCamp. Jan is Senior Strategic Adviser for Atlantic Bridge Venture. He has been serving in different advisory boards of several European governments in the field of ICT, national competitiveness and education. He is involved in his advisory capacity in different projects of WEF, OECD and EC. Jan is well regarded speaker at WEF, OECD, EC, EP, Harvard, INSEAD, Cambridge and Economist events. Jan has been interviewed by CNN, CNBC, Bloomberg, Financial Times, New York Times and WSJ. From 2008 – 2010 he was moderator of CT24 morning talk show Rendez-vous in Czech TV. 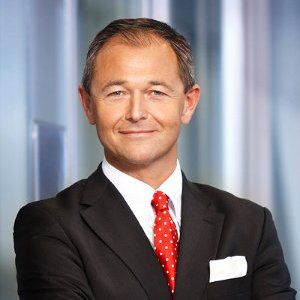 Jan Muehlfeit joined Microsoft in 1993 in Czech where he hold different leadership positions. He received the MS President’s Award for Excellence in 1994. Jan was named RD of MS CEE in 2000 and promoted to VP EMEA in 2002. Under his leadership, CEE became company’s best performing region worldwide for four consecutive years. In 2004 he also became a co-architect of MS global emerging markets strategy and member of Microsoft executive board for emerging markets. Following these achievements, Jan Muehlfeit assumed the role of VP PS EMEA in 2005. He was named VP, EMEA Corporate & Government Strategy in 2006 and was subsequently promoted to Chairman Europe, Microsoft Corporation in 2007. He was key in normalizing Microsoft relationship with EU institutions. Jan left Microsoft at the end of 2014. Born in 1962, Jan Muehlfeit grew up in Czechoslovakia. He received a computer science degree from the Czech Technical University and later on completed executive development programs at Wharton, LSE and Harvard.